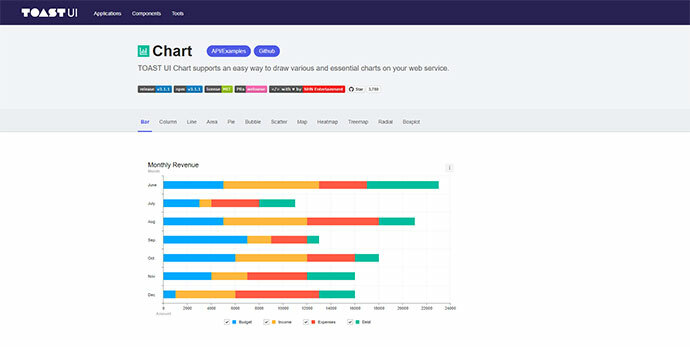 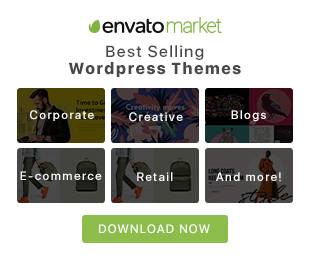 It supports an easy way to draw various and essential charts on your web service. 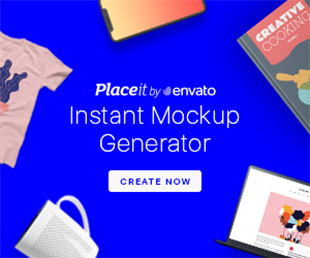 It is a graph visualization framework. 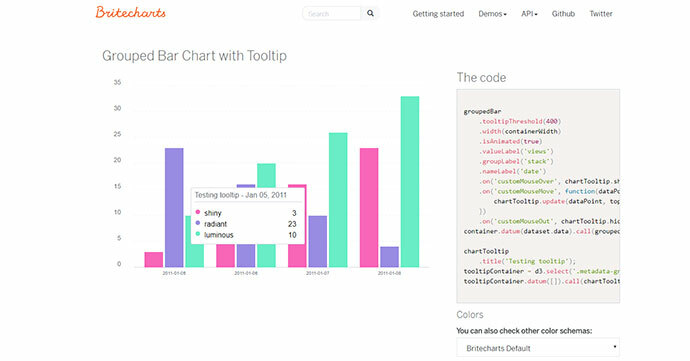 It provides a set of base mechanisms, help developers to build your own graph visualization analysis application or graph visualization edit application. 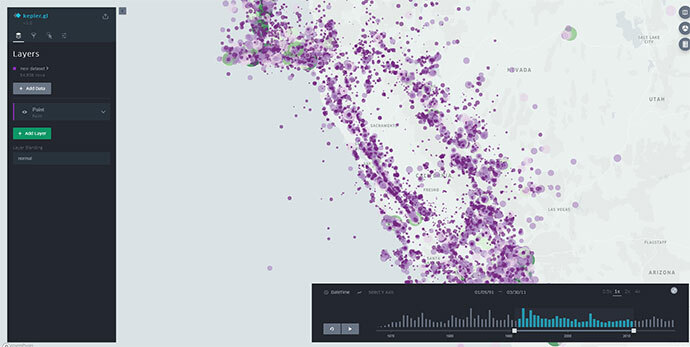 This is a powerful open source geospatial analysis tool for large-scale data sets. 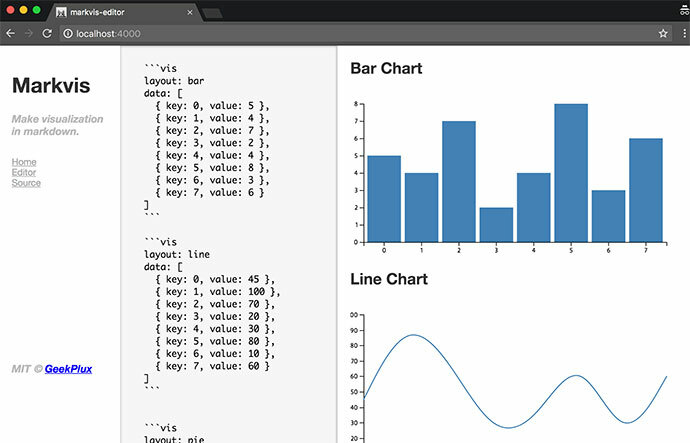 A markdown-it plugin two lines code to generate charts customized chart. 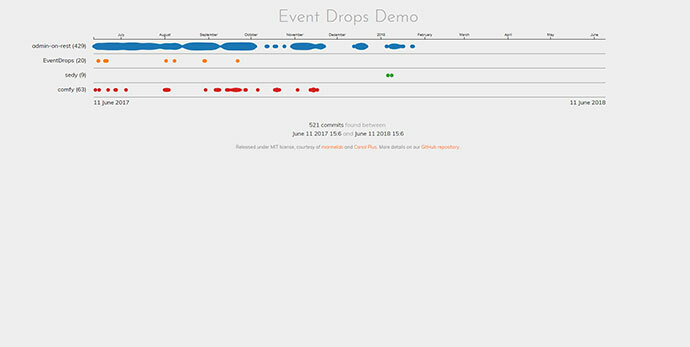 It is a time based / event series interactive visualization tool powered by D3.js. 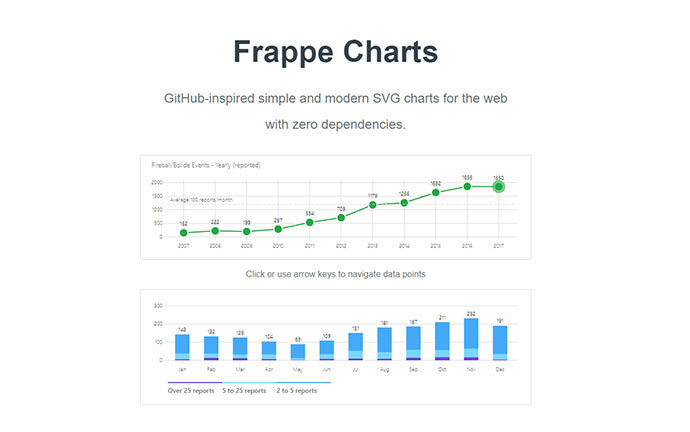 Simple, responsive, modern SVG Charts with zero dependencies. 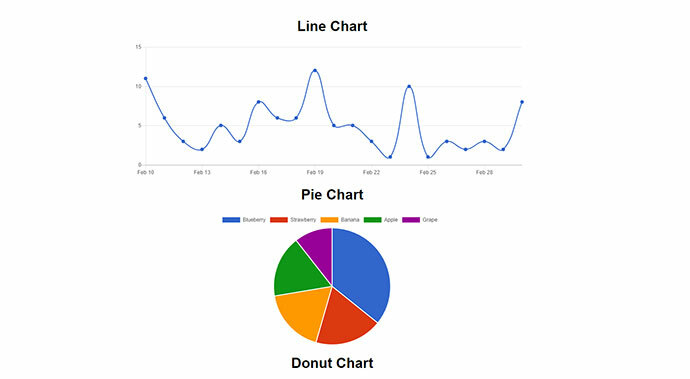 Plugin for Chart.js to display percentage, value or label in Pie or Doughnut.